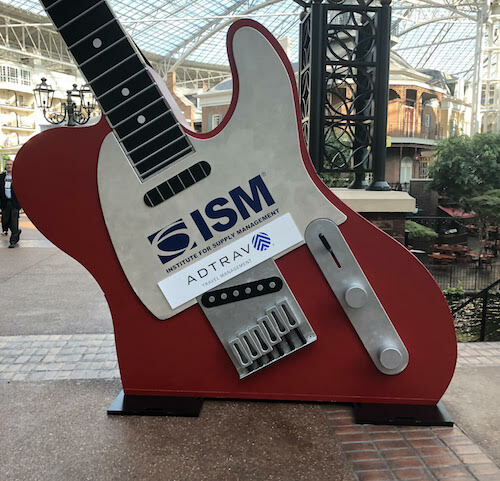 The Spend Matters team is pulling on their dancing boots as ISM 2018 kicks off in Nashville, Tennessee. Pierre Mitchell and I will be on the floor Monday and Tuesday covering the event, along with support from client services gurus Sheena Smith, Brianna Tonner and Lauren Oliver. This year ISM’s annual conference, which features more than 2,500 global supply chain and procurement professionals, is emphasizing a decidedly forward-looking tone. In addition to the usual sessions on talent management and elevating procurement’s role in the business, ISM is doubling down on several futuristic-sounding topics, including guides to implementing artificial intelligence, explorations of blockchain use cases and strategic plans for building a procurement defense against cyberattacks. These topics and others form the backbone of a star-studded program, with keynote speeches by Arianna Huffington, founder of The Huffington Post; John Brennan, former director of the CIA; and John Rossman, an “expert on digital disruption” and former Amazon executive. But more important, this focus points to an evolving set of priorities for the profession. As procurement rounds the corner to 2020, the function is increasingly emphasizing not just savings and supply assurance but also digital leadership and innovation. The procurement professionals in attendance are leading this charge, as numerous scheduled presentations illustrate. 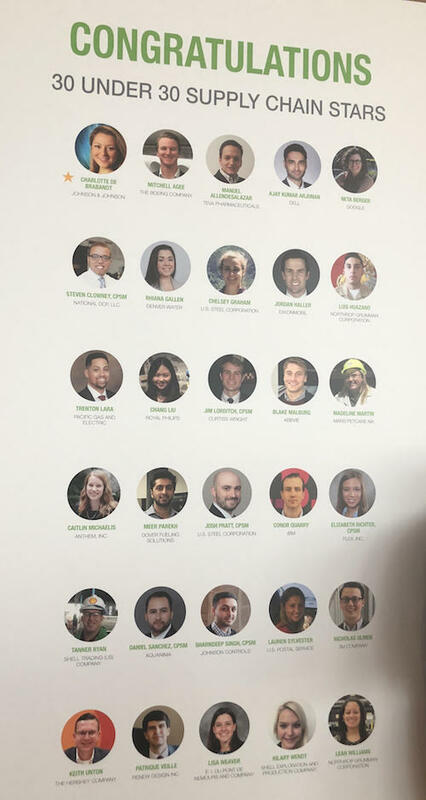 We’ll be keen to hear more from the 30 Under 30 Rising Supply Chain Stars on where the profession’s best and brightest are leading the function during a TED-style talk. We’ll also be covering Tuesday the annual CPO roundtable, featuring a discussion between procurement veterans from MGM Resorts, MCD LLC and LG Electronics. But procurement is far from alone in this effort. ISM, for one, is updating its own professional certifications and courses to keep up with the technological times. Last week the organization announced it appointed for the first time a chief product officer, Susan Marty, who will lead development of content and programs that help practitioners improve their skills and differentiate themselves in an increasingly competitive world. Along with this development, the conference will also host hundreds of technology and services providers leading this innovation push. We’ll be helping attendees separate the wheat from the chaff as we hand out our 2018 50 Providers to Know and 50 Providers to Watch designations. The 50 to Know and Watch lists are the result of intense debate, discussion and refinement among all of the Spend Matters analysts and reflect our unbiased, independent view of the organizations you should have on your radar in 2018. For 30 Under 30 Supply Chain Star Tanner Ryan, Culture and Geopolitics Make Supply Chain a "Forever-Changing Puzzle"